Luigi Attademo performs pieces by Miguel Llobet, Enrique Granados, Francisco Tárrega. With the participation of Marco Taio, sound engineer. The project on the Spanish guitar is the natural continuation of the exhibition "Torres. The Stradivari of modern guitar" designed in 2017 for the Violin Museum of Cremona. This recording features an historic guitar, an instrument built in 1888 by the great, legendary guitar maker Antonio de Torres. Many composers were inspired by his magnificent instruments, and he was inspired by the composers who spurred him to extend the technical possibilities of the instrument. The composers included in this appealing program are all Spanish: Julian Arcas, Antonio Cano, Francisco Tarrega, Enrique Granados, Antonio Jimemez Manjon, Isaac Albeniz, and Miguel Llobet. Complete Bach music for lute (2011), the complete music for guitar by Niccolò Paganini (2013). In 2014 the Italian magazine Amadeus dedicated him an issue, publishing a new recording on Fernando Sor's masterworks. Last recording (2016) is dedicated to the XIXth century music played on six different historical instruments. He played recently in chamber music projects with Simone Gramaglia (violist), Quartetto di Cremona, Cuarteto Casals, and contemporary music, like as El Cimarron by H.W. Henze and the Concerto for guitar and Orchestra by Alessandro Solbiati. 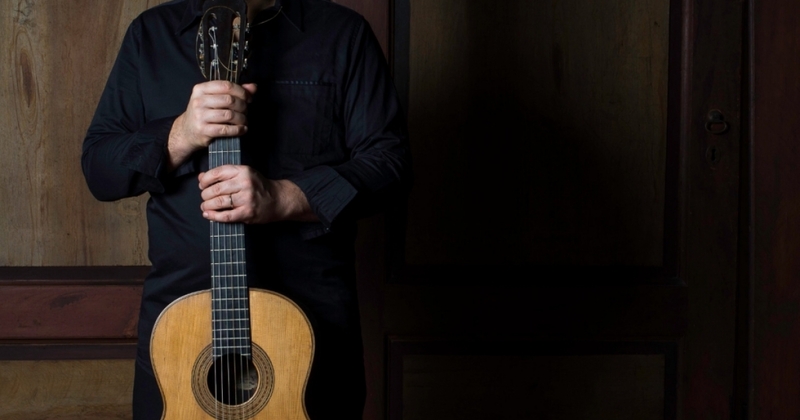 During last year, he played several guitars by Torres and he was curator of the exhibition “Torres, the Stradivari of the modern guitar” at the Violin Museum in Cremona.